Jay and Christy Duke opened their BBQ restaurant back several years ago in the small town of Americus, Ga. It was important to Jay to have a place where people could swing by for a good hot meal during their lunch break or after a hard day of work or college. Let Jay show you what home cooked BBQ (with all the fixin's) tastes like. 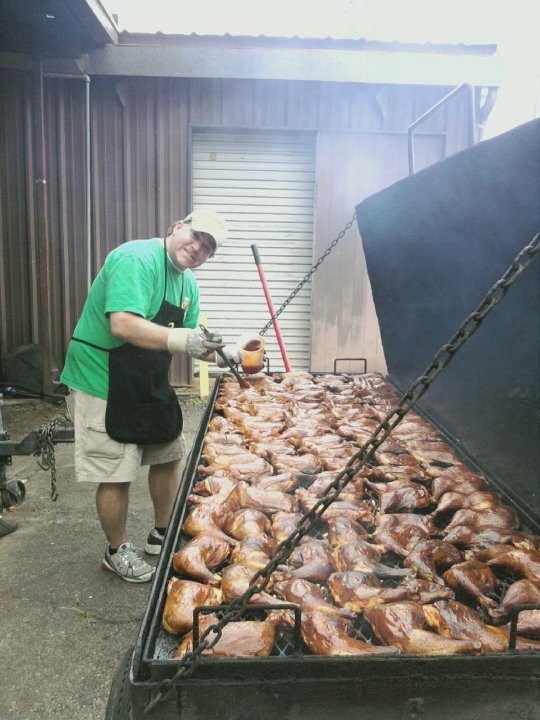 He invites you to stop by, see some friendly faces and let his staff serve all your BBQ needs. Feel Free to Dine-in or Carry out and Special orders are Welcomed !! Let Jay show you why he says: "the secret is in the sauce." We can handle all your catering needs: Our meals are fully cooked and only need to be reheated. We can accommodate ANY number of servings needed. We tailor every catering job to fit your needs. Call us today and let 2Dukes handle it.